Making reels extremely lightweight means to approach the level at which the reel becomes like a part of the body. The user’s sensitivity increases and they are able to use the reel as freely as if waving their own hand. 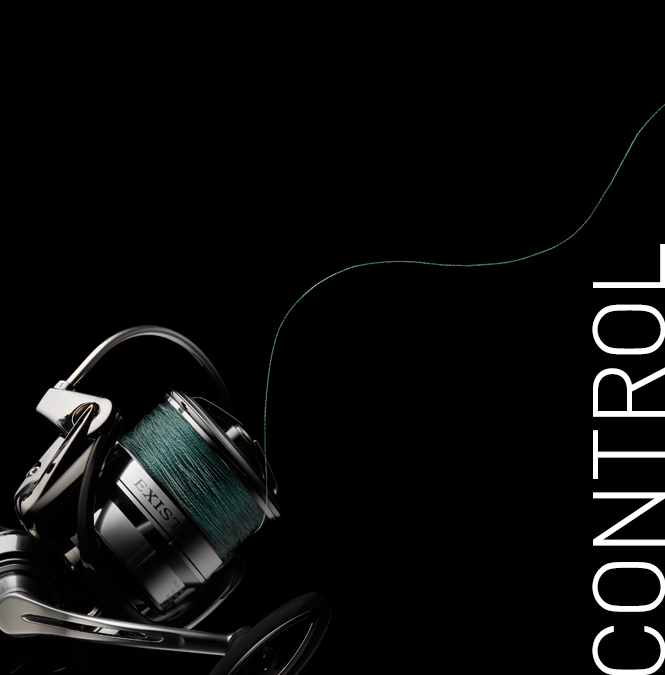 18EXIST embodies countless subtle technologies and techniques to reduce the reel’s weight down to the absolute limit. For example, the body. Using the MONOCOQUE BODY technology that enables both compactness and robustness, this product managed to cut out more bulk than was ever possible before through the expenditure of several times as much processing and production time to machine the body down to size. Moreover, the spool is so ultrathin that blanking is impossible. 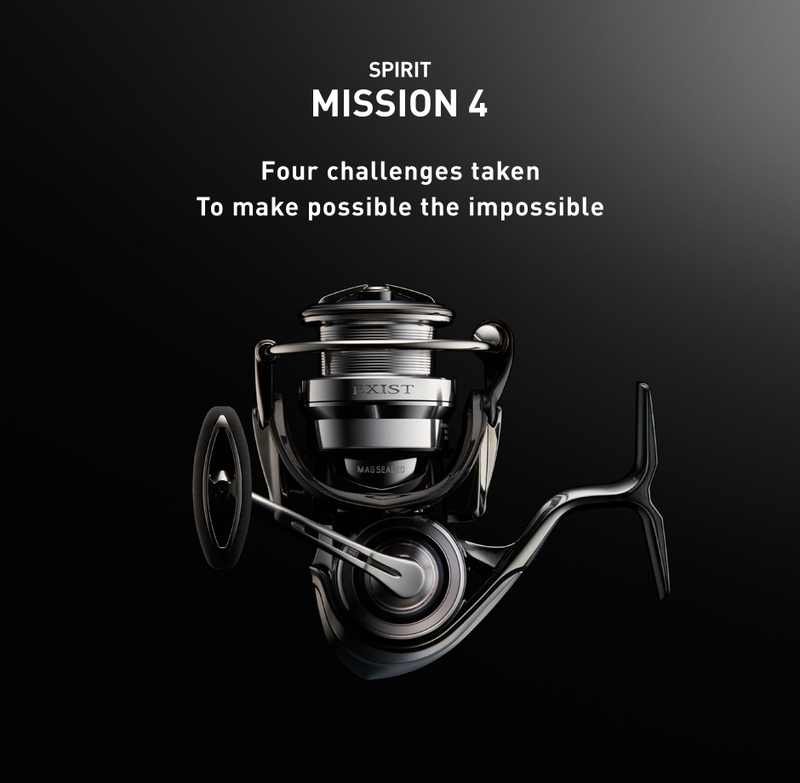 This is what DAIWA imagines: achieving a unification of angler and tackle through the extreme lightweight design achieved in 18EXIST. Can you catch your target or not? At times, the difference between a catch and no catch comes down to how sensitively you can pick up on signs and hints of fish lurking underwater. To achieve the sharp sensitivity needed to notice minute differences, it is necessary to reduce the noise of winding rotation as much as possible. This has been achieved by the newly developed TOUGH DIGIGEAR technology. Ultraprecise machining achieves ideal gear teeth surfaces, thereby drastically cutting down on noise from gears meshing during winding rotation. 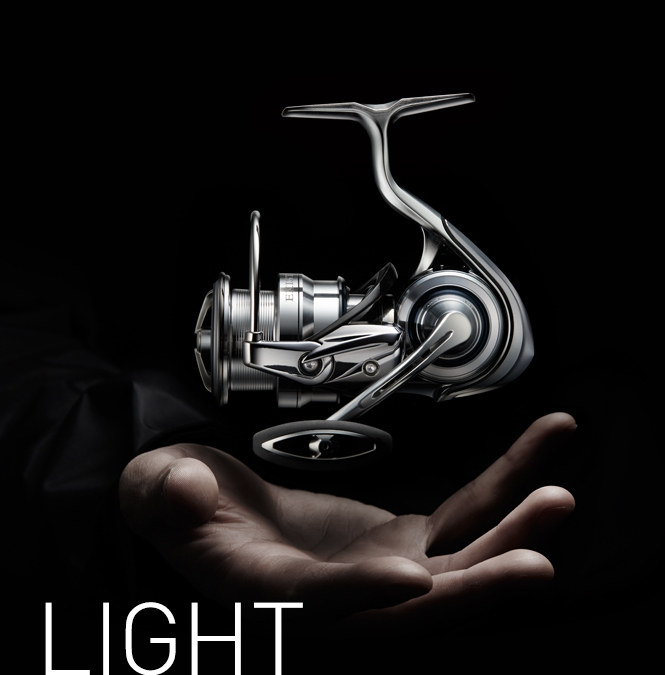 The reel also concentrates an uncountably vast amount of other technologies in a single product, including the Zaion Air Rotor that reduces the moment of inertia for light and smooth winding, and the sturdy MONOCOQUE BODY that almost completely eliminates slight shifts and rattles. 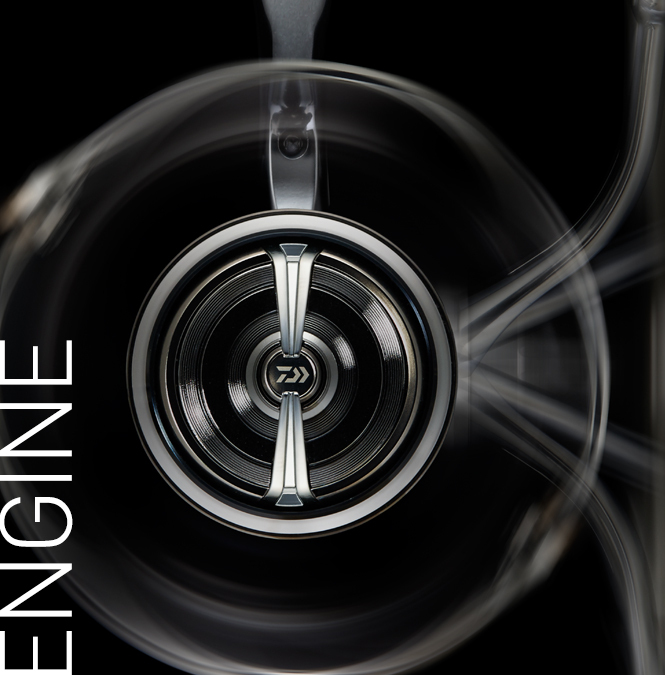 The winding rotation of the 18EXIST forges ahead into uncharted territory. All anglers have thought of this at least once: if you can pass a lure in front of fish who have never seen a lure before, you can likely come across much more fish. It is no exaggeration to say that this can be rephrased as follows: the further a reel can throw the lure, the more fish that reel can catch. 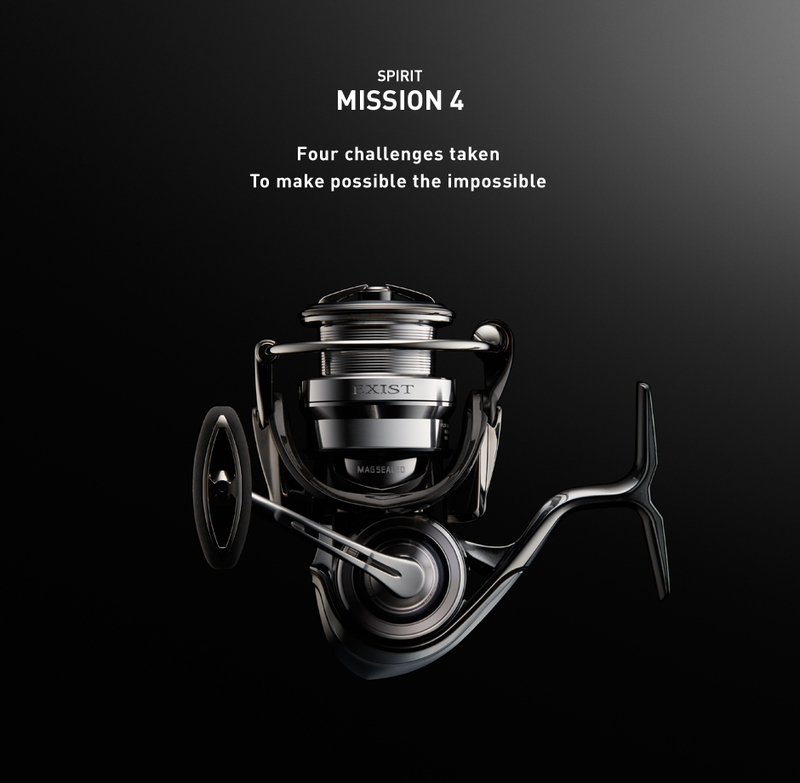 DAIWA has improved travel distance and eliminated trouble while continuously breaking the limits on reel range, and with the 18EXIST we have arrived at the formula “Long Cast (LC) – ABS”. This product improves the location and size of the point of contact with the spool when the line is released, successfully achieving a trouble-free feel to casting, wherein the lure seems to simply come loose from the reel, as well as achieving the longest travel distance in history. Caught fish are controlled at will through the strength of “ATD”, bringing the target in for landing without ever giving it the initiative. As a tool to catch your target, the 18EXIST exhibits unprecedented performance. Ultimate durability. 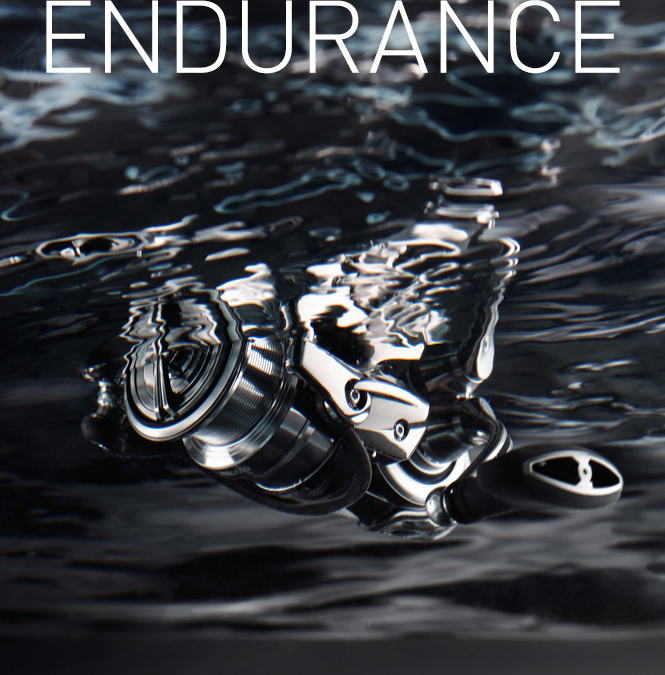 DAIWA believes this to mean the maintenance of primary performance. Sudden trouble forces fishing to come to an end. In past, reels used under harsh environmental conditions exhibited dropping performance the more that they were used. Taking that to be a thing of the past, what is necessary in order to achieve the ideal of maintaining the product’s initial winding feel forever is solid waterproofing that prevents seawater and foreign material from penetrating into the reel itself. 18EXIST is equipped with DAIWA’s unique MAGSEALED technology, which fully protects its line roller, main shaft, and drive gear shaft. Its airtight design is further improved through the use of the seamless MONOCOQUE BODY technology. Add in a stopper design completely improved from the ground up for waterproof performance that is utterly unprecedented at this class of product, making a solid reel even stronger. By thoroughly and steadily implementing technologies one by one, EXIST approaches ultimate durability.